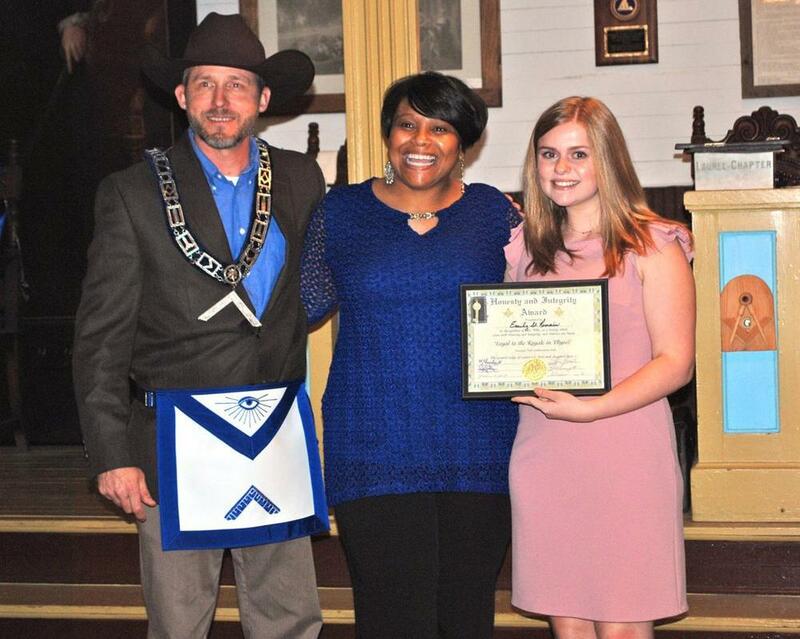 Feliciana Masonic Lodge 31 of St. Francisville recently presented Honesty and Integrity Awards to four West Feliciana High School students: Devin Ferguson, Lawrence Gonzales, Emily St. Romain and Caroline Smith. WFHS assistant principal Karolyn Jones Taylor attended the awards ceremony. Dane Taylor is chaplain of Lodge 31.